Prince's O3 Technology, launched in 2005, is a natural platform from which to deliver extra racquet speed. By refining the size, location, and shape of the O-Ports PRINCE has been able to increase racquet speed dramatically, which improves the ability for players to get their racquet in position, making better ball contact and hitting cleaner and more precise shots. Prince has introduced the next frontier in racquet innovation – O3 Speedport – a line of racquets built on the company’s award-winning O3 Technology platform and focused on adding speed to players’ games, so they can hit more powerful serves, more penetrating ground strokes and crisper volleys more consistently. In short, O3 Speedport racquets are engineered to improve players’ chances for better set-up and recovery, and cleaner ball contact. HOW DOES 03 SPEEDPORT WORK? O3 Speedport racquets are up to 24 percent faster than traditional frames – allowing them to cut through the air more quickly with no extra effort. This leads to increased racquet head-speed through the entire swing pattern and produces consistently sharper, cleaner shots. The string holes, called Speedports, are sculpted like the air intake ducts on fighter planes and high performance sports cars. 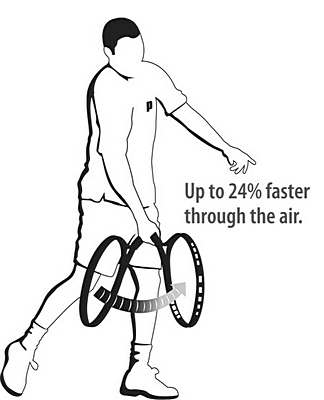 They allow more air to pass through the frame more quickly, dramatically reducing aerodynamic drag. Wind resistance is reduced by up to 24 percent. O3 racquet technology was built on the premise that combining a larger sweet spot with a more aerodynamic frame would deliver benefits to players of all levels. This has been proven on both the ATP and WTA tours, as well as in junior and club circuits. Fifty-six percent of all touring pros who have tried O3 have switched to this technology, including Maria Sharapova and Nikolay Davydenko, both top players on their respective tours. 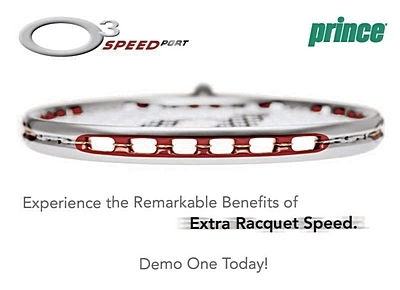 O3 Speedport uses Prince’s patented larger O-Port string hole technology as a starting point, but enlarges and reshapes the holes to reduce air drag and deliver the promise of extra racquet speed without the need for extra body effort. 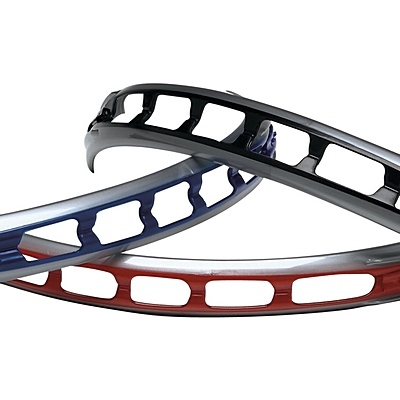 There are currently three Prince O3 Speedport racquets on the market -- the Prince 03 Speedport Silver, the Prince 03 Speedport Blue, and the Prince 03 Speedport Red.